The Sage 200cloud Suite is an Enterprise Resource Planning (ERP) solution suitable for small and mid-sized businesses (SMBs). Sage 200cloud is scalable, adaptable and simple to implement, to enable effective management of business processes within a single system – from finance to customer relationship management (CRM). As an ERP solution, Sage 200cloud is much more than just an accounting system, Sage 200cloud helps you to build a joined up efficient business, allowing you to connect your different teams from sales to customer service, dispatch to financials. Sage 200cloud gets the right information to the right people fast making your business agile and able to seize on opportunities and manage risk. There are flexible options to suit all budgets, choose from an on-premise implementation or cloud deployment, or a subscription pricing model. Sage 200cloud now brings high-end ERP functionality within easy, affordable reach for small businesses. Sage 200cloud is highly flexible and is designed to be scalable to grow with you as your business develops. Sage 200cloud provides your business with in depth analysis and reporting, giving you a 360 view of your business at your fingertips. Sage 200cloud helps to automates manual processes to reduce data entry, human error and reduce costs. Sage 200cloud can also be accessed from anywhere, at any time, on any device, allowing you to work where and when it suits you. 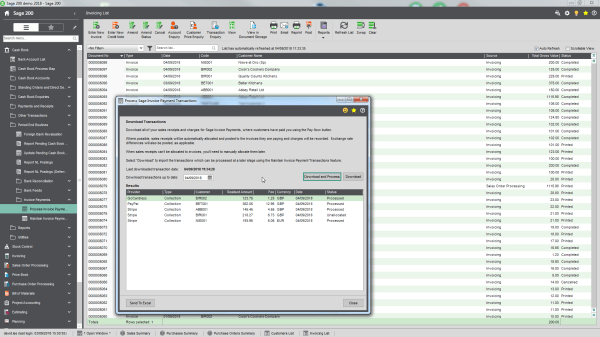 Sage 200cloud allows you to tailor your solution to your needs by only choosing the modules relevant to your business. With Sage 200cloud you can manage your finances, customers, marketing and manufacturing all in one solution. Financials manages the day-to-day running of a business, providing users control over costs and processes, drawing on information from Nominal Ledger, Cashbook, Sales and Purchasing Ledger. 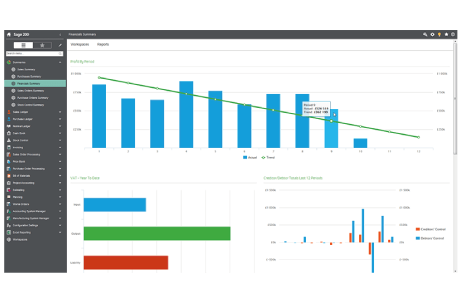 Sage 200cloud Financials ensures that you know the financial position of your company at any point in time to make critical business decisions. Project Accounting helps control costs and maximise profits by analysing the detail of every project you manage. Improve customer satisfaction with accurate bills, delivered by capturing and allocating project costs, overheads and revenues. With Sage Web Time Expenses you can collect timesheets and expenses online from anywhere. Commercials is designed to help you manage every element of your supply chain – from quotations and price books, to receiving and delivering goods, Commercials provides a complete inventory and stock management solution to help you optimise stock levels, keep down costs and deliver what your customers want. Business Intelligence provides managers with clearly presented business information to plan strategically and identify trends and patterns. Spot opportunities for innovation and identify improvements in productivity and growth in every area of your business. 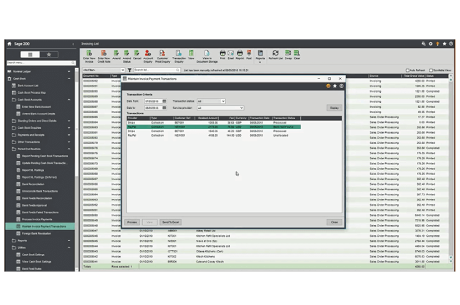 Bill of Materials provides control over the bill of materials process from beginning to end. The BoM module breaks down the manufacturing operation into easy to- access areas, including materials, labour, machines, operations and reporting. Sage 200cloud includes a feature rich internet-based CRM tool, designed to support businesses in analysing, managing and synchronising customer data across all points of contact ensuring a seamless customer service. Sage 200cloud is easily customisable to fit your business needs – only choose the modules you need for your business. Select options to manage stock, projects, manufacturing processes, customers (CRM) and payments. Sage 200cloud also connects with third party apps to give you further functionality to suit your business requirements. Control your business and gain complete visibility over your operations. Manage multiple companies and access key business insight and financial reports on the go through Excel. Sage 200cloud gives you business-wide, market-leading software full of supercharged features and functionality when you need them. Respond quickly to business opportunities and get the insights you need on the go to increase efficiency and profits, and accelerate growth. With Sage 200cloud you can cut out the tedious task of re-keying bank payments and connect straight to your bank account. Sage 200cloud saves you valuable time, enabling you to focus on important things – like driving your entire business forward. Out of the office but need to make a key business decision? Using the cloud, access, manage, and share your data wherever you are, produce sales orders and purchase requisitions, access dashboards and reports, post timesheets, expenses, and more, on the go – turning lost time into productive time.